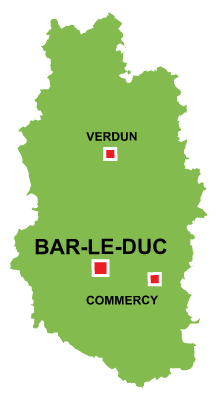 Bar le Duc is in the Grande Est region. Bar le Duc is situated in the Lorraine, south east of Reims. 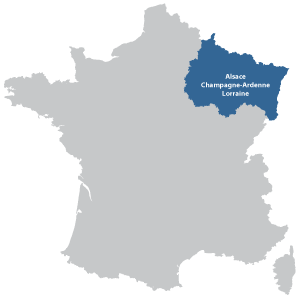 The city was once the capital of an independent sate called the Duchy of Barrois. This is a beautiful city to visit, with a rich history and culture. 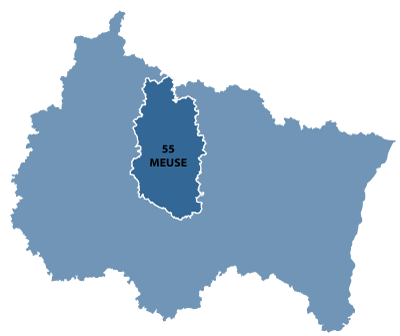 The canal of the Marne to the Rhine passes through the centre. Worth visiting is the Place Saint Pierre and the Rue de Ducs.